Designers tell a story through careful selection of word and image. But what can we do when anything we pick feels overused and impersonal? Draw inspiration from Maira Kalman’s work to find a unique angle.. This is a follow-up on Word & Image Part 1. Maira Kalman is an illustrator with a whimsical, documentary style. Her work is a beautiful example of how we can tell unique and personal stories in word an image. 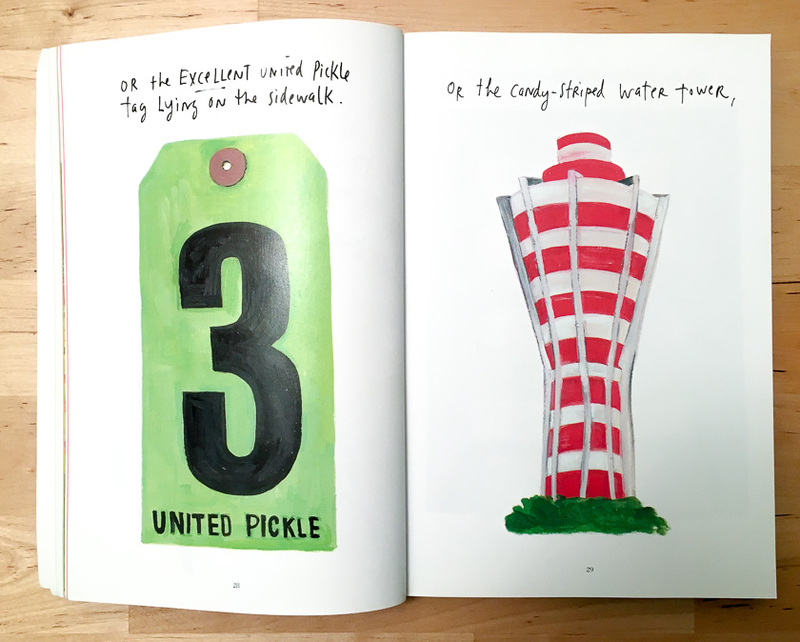 Maira Kalman finds real life so magical that she can draw on it directly for her work. Through close, caring, and compassionate observation, she is able to bring out the interesting and relatable stories hidden behind everyday object and person. I don’t want to use my imagination anymore; I’m tired of that. I have the pleasure of seeing things all around me. I don’t have to make anything up*. Kalman’s work feels poetic, because it is. As both a writer and an artist & illustrator, she is able to craft complete narratives. As a writer, artist, author and maker, Maira Kalman weaves stories into her work. My paintings are writing. And sometimes you don’t need to say anything at all, of course—just show the image. But ideally they become one soup. The stories she makes out of words and images together are rich, and lovingly attentive to life. Every subject she illustrates is at the same time a universal symbol (I mean, look at this dog!) and the most specific dog whose asymmetrically twisted ear (and resentment for his monogrammed sweater) feels instantly familiar.